They can be made from Aluminium, PVC, Timber cedar, Imitation Wood or a combination of both Wood and PVC. They come in Matt or gloss finish in natural wood colour or creams and whites. Slat sizes can be in 50 mm, 63mm, or 73mm. Easy to clean, either wet or dry. Suitable for wet areas , such as Kitchens and bathrooms. 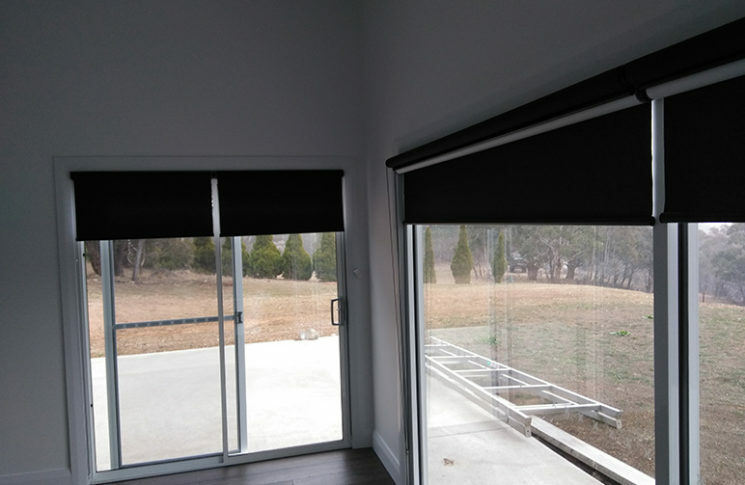 Very strong and hard wearing blind with an attractive top pelmet to cover metal head box, with solid chunky bottom rail. 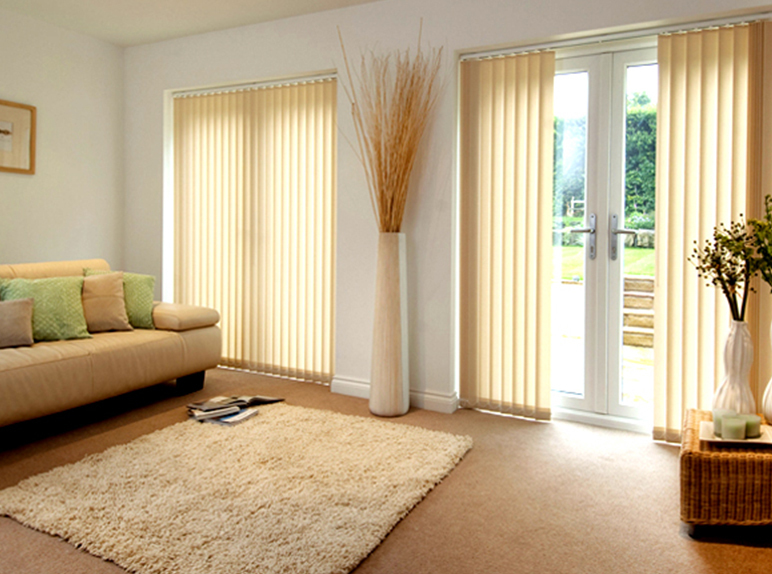 Vertical blinds tracks come in several colours and slats are available in two widths. 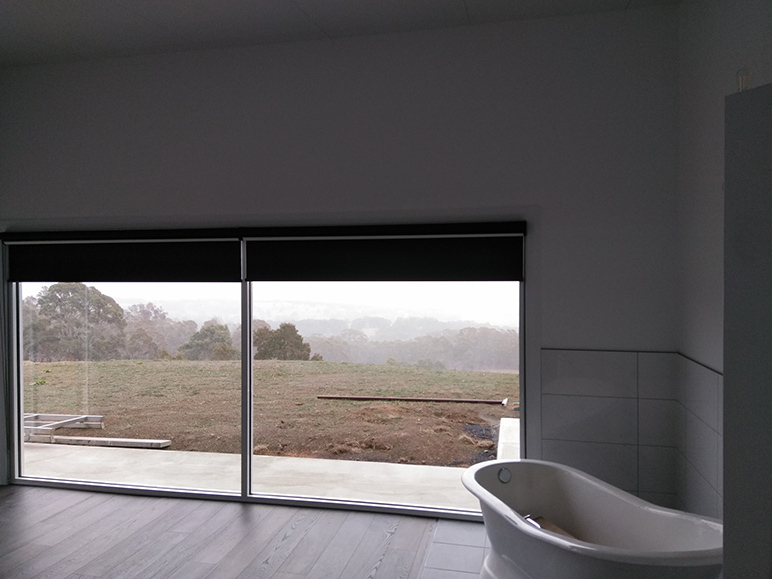 Suitable for large areas such as sliding doors. Can be made to open and bunch together to the left, right or centre. Long lasting and easy to clean. Can be made with or without bottom link chain. 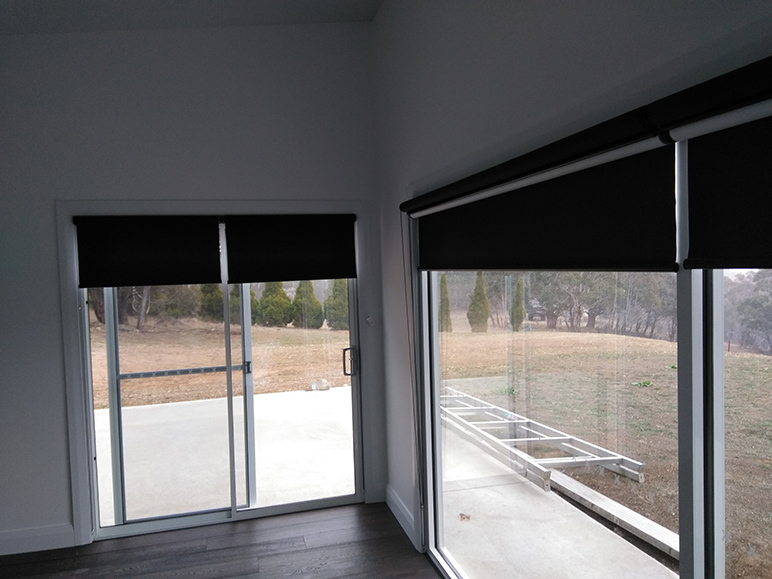 Bottom weights can be stitched neatly in each slat at no extra charge, thus avoiding the chain from catching on sliding doors or other obstacles, sleek and modern looking. Panel glides – hand drawn operation with flick stick. 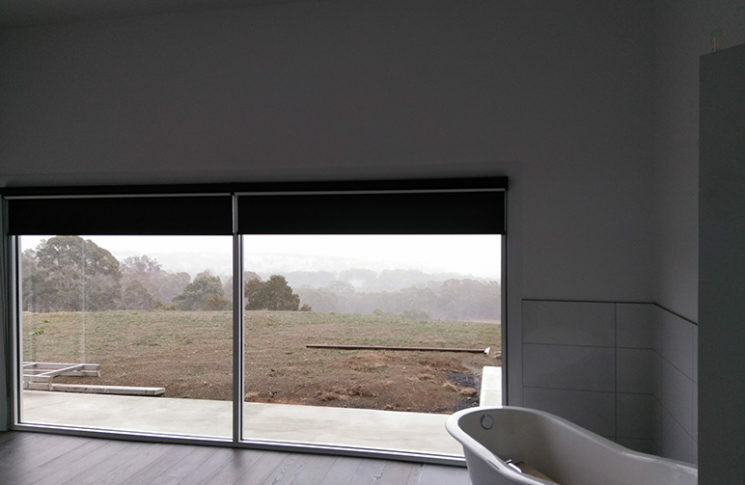 Suitable for large areas such as sliding doors. 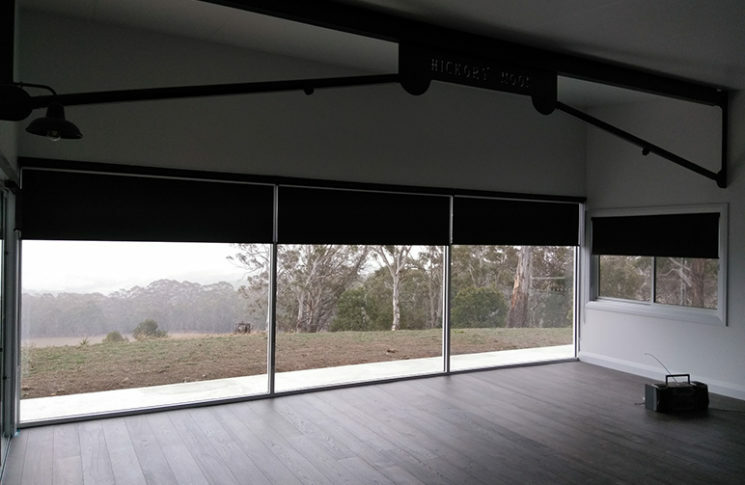 Panel widths can be custom made to very wide widths as required. Panels of fabric slide accross on a top track and slide past each other. Bunching or stacking can be made either left, right or centre. When stacked together they slide behind each other to give the impression as if it were one panel. Very attractive , stylish and hard wearing and easy to wipe clean. 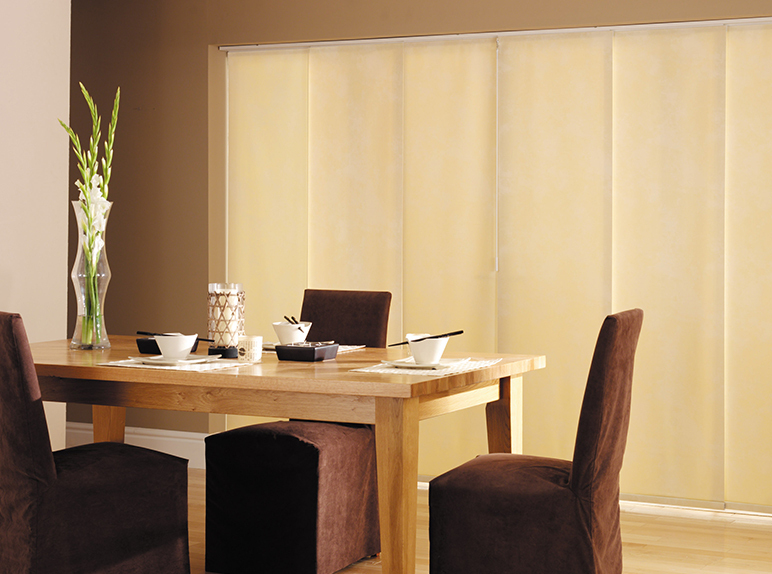 Roman blinds are a beautiful addition to any room and make a fantastic substitute for curtains. High degree of room darkening where required. 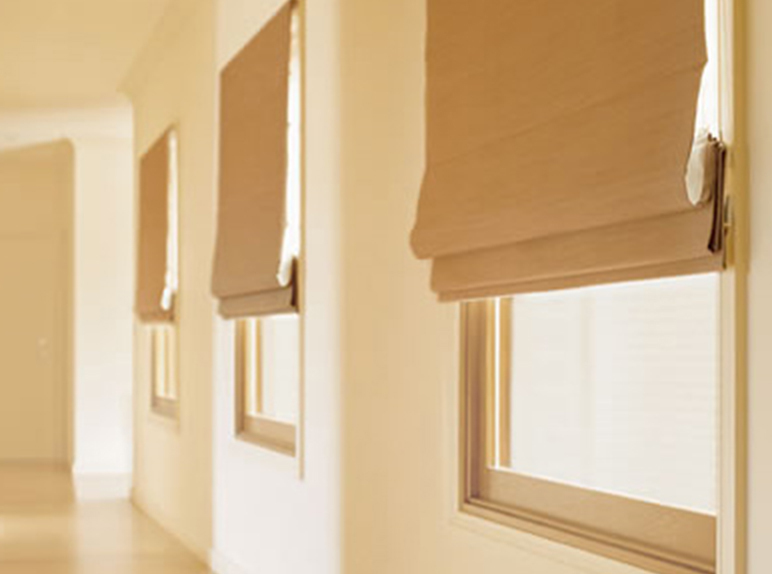 Can also be made in light filtering fabrics allowing light during the day, while still maintaining privacy at night. 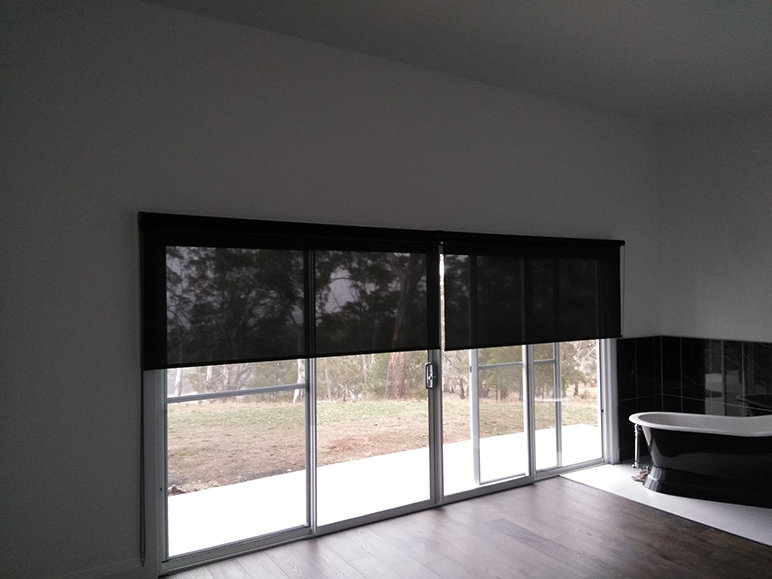 Classy, attractive and a more formal look then Holland blinds. 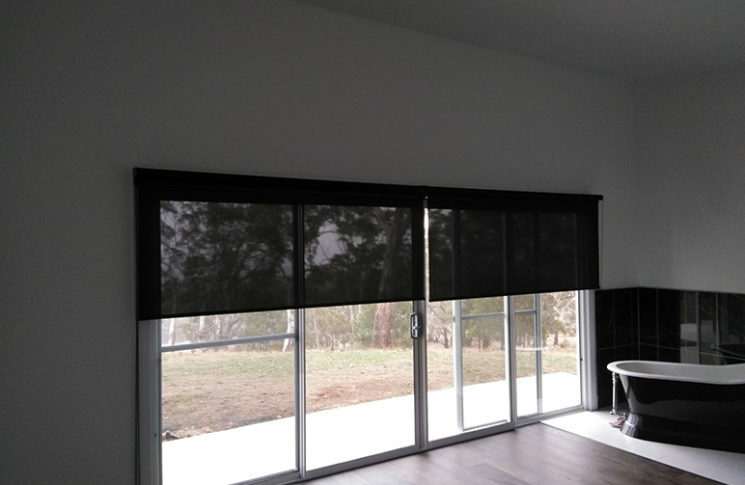 Holland (Roller) blinds can be made from 100% blockout fabrics suitable as very effective room darkening and suitable for where maximum heat and sun protection is required. Very effective in keeping the heat out in summer and warmth in winter. 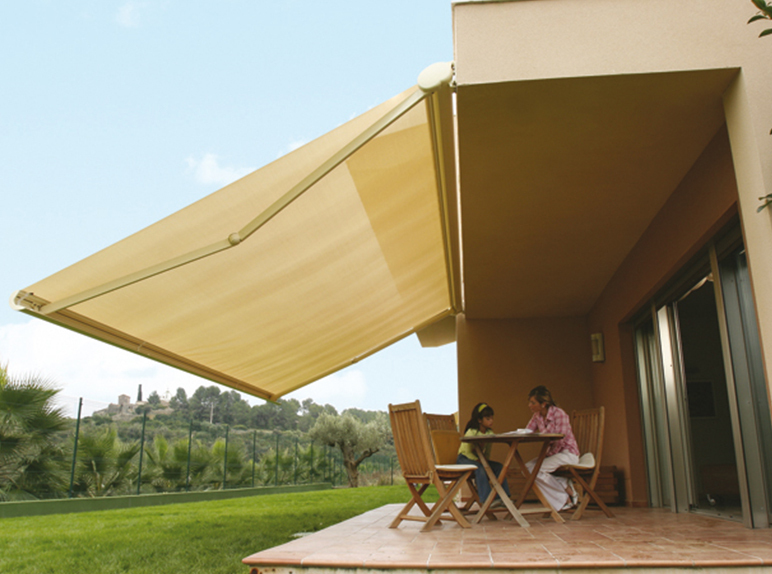 We provide awning installation, repair and maintenance services. 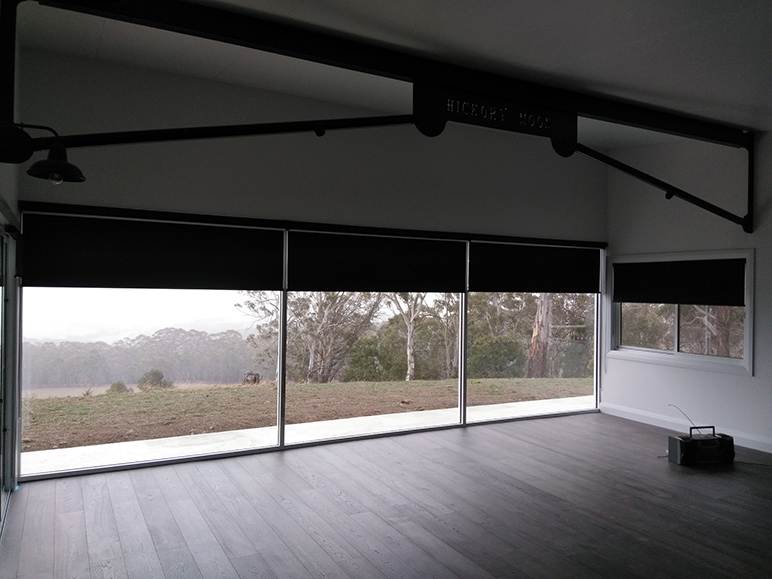 We can provide advise on all types of outdoor blinds from manual operation to motorised and retractable – fixed awnings. 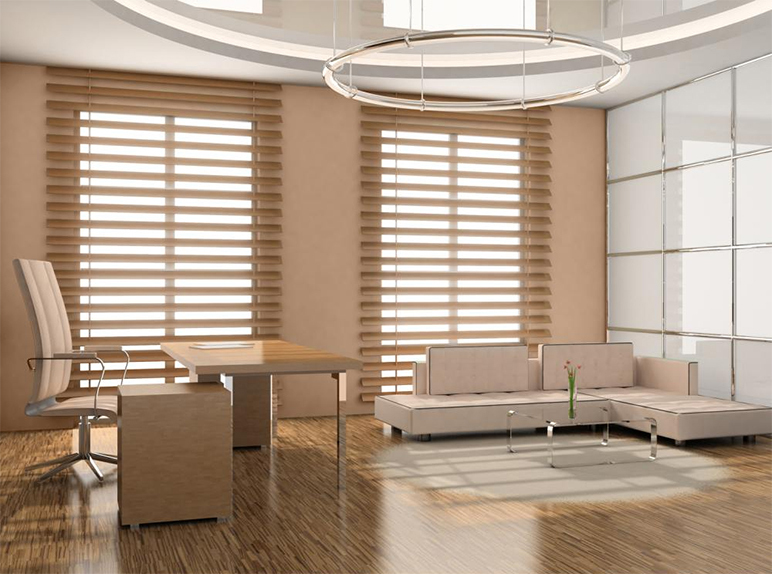 They can be operated by either wand, cord, remote control device or wall mounted.